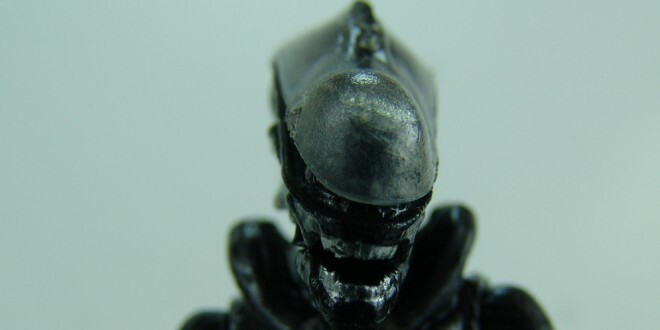 REVIEW: Aliens Colonial Marines Xenomorph Lurker | The Fighting 1:18th! Aliens: Colonial Marines is a first-person shooter video game developed by Gearbox Software and published by Sega. The game is set in the Alien universe and takes place after the events of the third film in the franchise, Alien 3 (1992). The game is the third Aliens title that Sega has produced: the first was Aliens vs. Predator in 2010, and the second was Aliens Infestation in 2011. The game was released for the PlayStation 3 and Xbox 360 video game consoles and for Microsoft Windows on February 12, 2013. I was brought into collecting when the GI Joe 25th anniversary came out. After dealing with repaints and sub par vehicles I started searching around for something a little better. A friend turned me onto the fighting 118th and I started moving towards a more realistic "verse" for my figures. After seeing a few dioramas from members on the site I got the bug for them. There is a certain quality of person that contributes to the site and that is what has kept me coming back. Everyone is honest about what your work can have better and really helps you to get the best out of yourself. I am MAJOR BLOOD on the site.